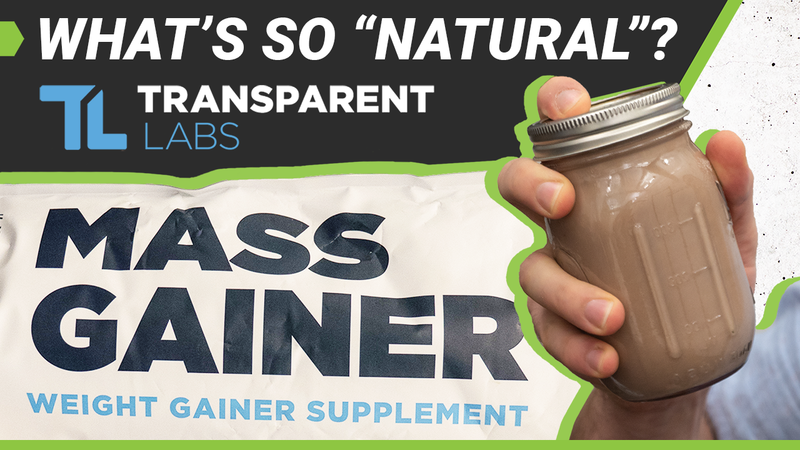 Home » Transparent Labs Mass Gainer Review – What’s “Natural” About It? 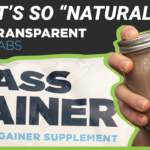 Transparent Labs Mass Gainer Review – What’s “Natural” About It? We receive free products to review and may receive commissions on purchases made through our links. See our disclosure page for details. 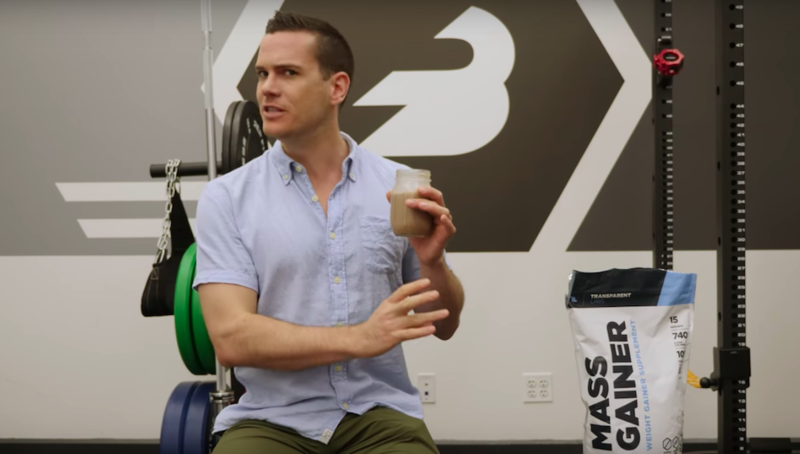 The Utah-based supplement company Transparent Labs is making some serious waves in the industry. Unsurprisingly (given the name) they have a big commitment to transparency in their products — there are no proprietary blends here. Every one of their offerings contains the precise dosage of each ingredient down to the one hundredth of a gram, and they even offer certificates of analysis and authenticity on their website. After trying their three pre-workouts I’ve found that this is a company that does their research. The dosages are always in line with what studies suggest and they shun ineffective ingredients. 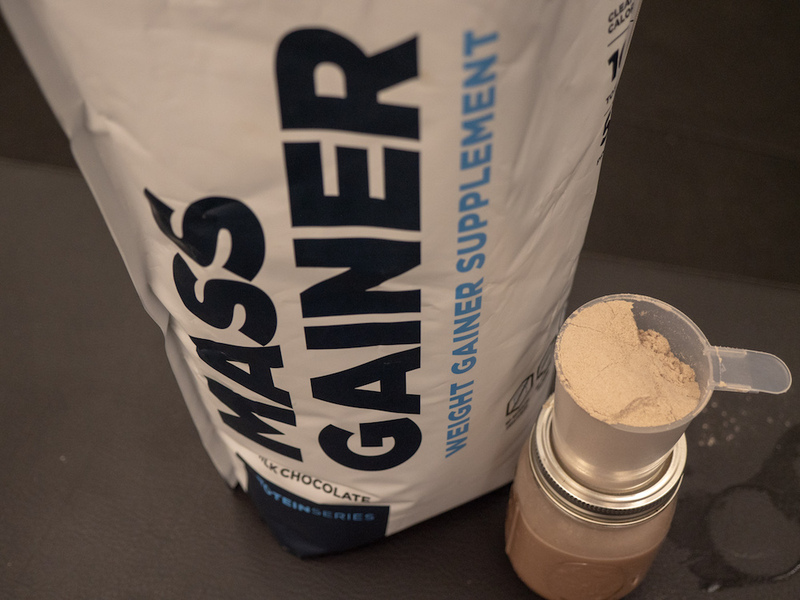 But today we’re talking about their mass gainer. We’re not really looking for research-backed studies on the effects of various plant extracts, we’re looking at calories, carbs, and protein. So what does this product have to offer the athlete looking to gain mass? 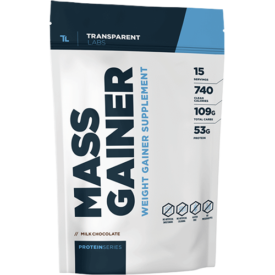 With nothing artificial, whey from New Zealand, a good amount of fiber, and little sugar, this mass gainer will satisfy most athletes. Use the code BARBEND10 for 10% off! 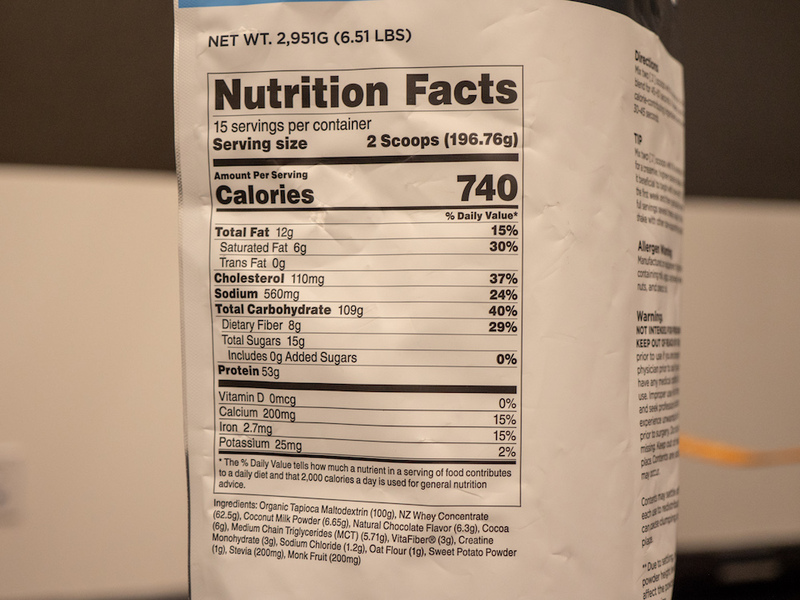 One serving of this product is two big scoops (197.76 grams each) and contains 740 calories: 53 grams of protein, 109 grams of carbohydrates (8 grams of fiber and 15 grams of sugar with no added sugar) and 12 grams of fat (6 grams of saturated fat). There’s also 37 percent of the recommended daily intake of cholesterol but not many micronutrients: there’s just 15 percent of the recommended daily intake of calcium and iron and 24 percent of the sodium RDI. The first ingredient and the primary source of carbs is organic tapioca maltodextrin, which comprises over half of the product. In a serving of almost 200 grams you’ll also get grass-fed whey concentrate (62.5g), coconut milk powder (6.65g), natural chocolate flavor (6.3g), cocoa (6g), medium chain triglycerides (MCT) (5.71g), 3 grams of VitaFiber®, which is a blend of prebiotic soluble fibers, creatine monohydrate (3g), sodium chloride (1.2g), oat flour (1g), sweet potato powder (1g), stevia (200mg), monk fruit (200mg). So how do those macros differ from other mass gainers? For 740 calories this is pretty low in sugar (15 grams of it in 109 grams of carbs) and fat. The 37 percent of cholesterol could be an issue for some folks but then again it could be good news for others, since cholesterol could be desired by folks looking to build muscle. With almost third of the recommended daily intake of fiber in a serving (and one serving having about a third of the RDI of calories) this shouldn’t put you behind on your fiber intake either, particularly given the fact that a good chunk of the fiber is prebiotic, which may have some digestive benefits. There are a few other interesting tidbits in the ingredients. For starters, tapioca maltodextrin is often valued by athletes because it’s naturally gluten free and it doesn’t come from wheat or corn like other common carbohydrate sources in mass gainers. The whey is from grass-fed cows from New Zealand cows and there’s some added MCT fats, which could add some extra health benefits. Perhaps most notably there are no artificial ingredients in here, no sucralose or acesulfame potassium, and there’s also no soy or added sugars. This makes the ingredients list pretty friendly to people with restrictive diets. The downsides? There aren’t all that many vitamins (plenty of companies add them to their mass gainers) and some might be disappointed by the 1:2 protein to carb ratio, since people really looking to gain mass sometimes look for a ratio closer to 1:3 or even 1:5. The extra creatine might be an upside or a downside depending on your goals. If you’re looking to avoid bloat as much as possible before, say, a physique show, it’s possible you won’t be happy with the extra creatine. The price can change at any time, but right now you’re looking at between $60 and $70 for a big sack of 15 servings. That’s between $4.25 and $4.50 per serving or 55 to 65 cents per 100 calories. Note that the price drops a little if you order multiple bags. 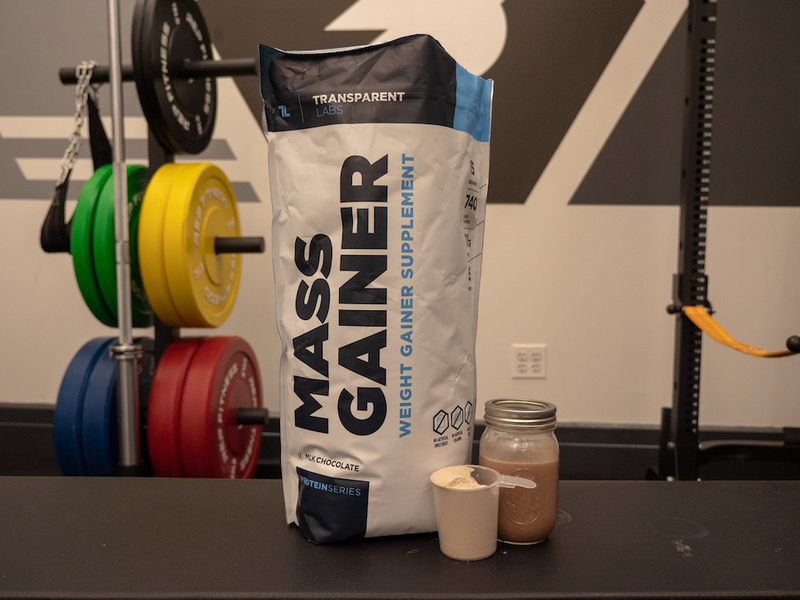 That’s somewhat pricy for a mass gainer, since they typically hover closer to 40 cents per 100 calories. Then again this has imported grass-fed whey and more protein than a lot of competitors so you may find the price worth it. It’s also available in Cookies and Cream flavor but I grabbed the Milk Chocolate variety. With two hundred grams per serving I was expecting a pretty overpowering flavor but the maltodextrin is mild and the drink was ultimately pretty easy to consume. With naturally flavored chocolate powders I usually expect an earthy, bitter flavor because brands typically add a lot of cocoa and don’t achieve the milky chocolate flavoring that you typically need artificial flavors to get. But this product did have more of a milk chocolate flavor than I was expecting. That said, it didn’t mix all that well. I quite liked this product. With nothing artificial, whey from New Zealand, a good amount of fiber, and little sugar, this will probably satisfy most athletes. The biggest hurdle is the price but if that’s of no concern (and you don’t need more than 2 grams of carbs for every 1 gram of protein) then this is a fine supplement for easy calories.